BANGKOK, Dec 20 (Thomson Reuters Foundation) – The wives of three prominent Southeast Asian human rights campaigners who went missing after being detained by the authorities have united to urge Laos and Thailand to end impunity over forced disappearances. All three women have become vocal critics of forced disappearances in a region where activists highlighting abuses over human, labour and land rights routinely face threats and violence. Some are gunned down, harassed through lawsuits, or simply “disappeared”. “The biggest struggle is to get answers,” said Shui Meng Ng, whose husband Sombath Somphone, a Lao activist campaigning for rural development, went missing in December 2012. Shui-Meng Ng, left, Angkhana Neelapaijit and Pinnapa Preuksapan discuss details of their husbands’ disappearances, at a press conference in Bangkok, Dec. 19, 2016. The wives of three men who disappeared under mysterious circumstances years ago – including a Thai lawyer who has been missing since March 2004 – appeared Monday before reporters in Bangkok to discuss their ongoing ordeals. Angkhana Neelapaijit, the wife of lawyer Somchai Neelapaijit, joined Shui-Meng Ng and Pinnapa Preuksapan, the respective spouses of Laotian civil society leader Sombath Somphone and ethnic Karen activist Porlajee “Billy” Rakchongcharoen, for a news conference at the Foreign Correspondents’ Club of Thailand. The family of Sombath Somphone, a Laos civil society leader who went missing in the capital Vientiane three years ago, urged the government to do more to probe into his disappearance. 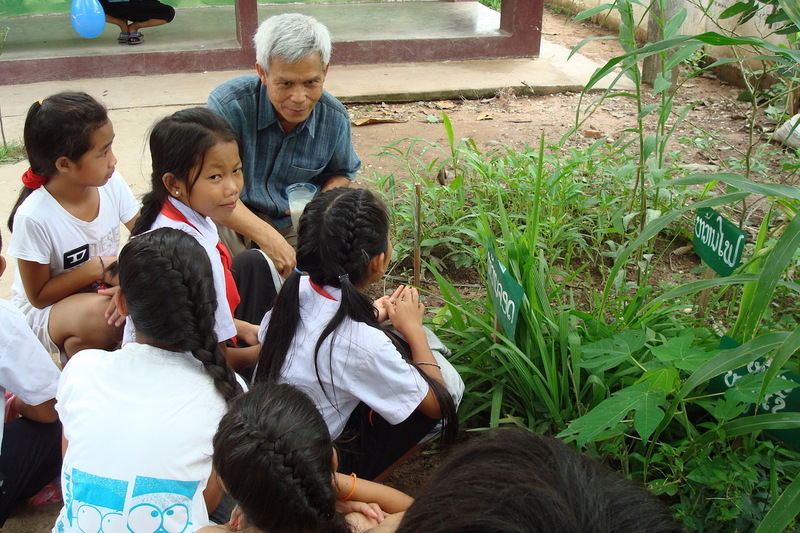 Sombath Somphone, an award-winning campaigner for sustainable development in Laos, pictured in 2005. Within days after his disappearance, the Laos government released footage showing his Jeep had been driven out of the capital Vientiane. However, a new piece of evidence released on Monday (Dec 14) by an advocacy group, the Sombath Initiative, revealed his car had been turned around and driven back towards the city centre. Presented at a press conference entitled “Three Years On: Demanding Answers for the Enforced Disappearance of Sombath Somphone in Laos” in Bangkok was new footage his family retrieved from closed circuit TV cameras (CCTV) along the road where he is believed to have disappeared. His family claimed they had presented state investigators the new evidence, adding the authorities have yet to examine it. A press conference entitled “Three Years On: Demanding Answers for the Enforced Disappearance of Sombath Somphone in Laos” was held at the Foreign Correspondent’s Club in Bangkok, Thailand on Monday, 14 December 2014. A synthesis of new CCTV footage (above) was shared showing: 1) Sombath’s jeep after he was stopped at a police post, 2) being driven out of town by another person after Sombath was called to the police post, and 3) then returning toward the city centre shortly thereafter. The videos also show the pickup truck that took Sombath away. Despite claims they are conducting a serious investigation, Lao authorities have shown no interest in reviewing this additional evidence. A press release be seen here, and video of the conference itself is available here. 0:08: Map showing location of original traffic CCTV camera (Camera #1) and locations of cameras from which new CCTV footage was obtained (Camera #2 & #3). 0:20: Original CCTV footage (Camera #1) beginning just after Sombath was stopped in his jeep. This footage, as well as explanatory notes, is available here. 1:10: Sombath getting out of his jeep and going to police post. 3:35: Jeep being driven away, going away from city centre. 5:45: Jeep seen coming back toward city centre on Camera #3. 6:40: Truck with Sombath seen leaving police post on Camera #1. Note truck is second vehicle behind van. 7:04: Same truck seen heading away from city centre on Camera #2. 7:20: Same truck seen heading away from city centre on Camera #3. 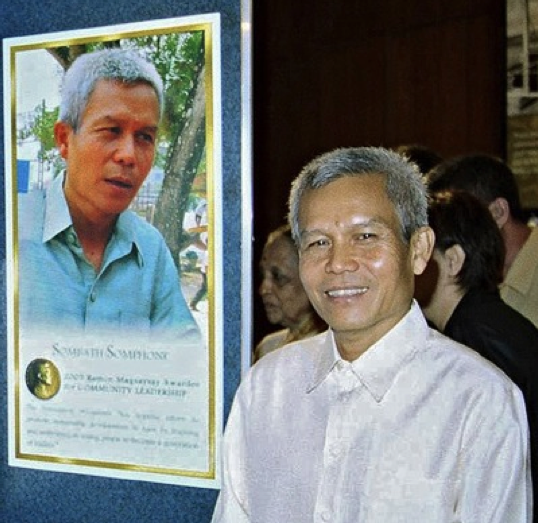 Three years ago, on December 15, Magsaysay award winner and acclaimed community development leader Sombath Somphone was detained at a police checkpoint in Vientiane, Laos, and then disappeared by state authorities. Since then, the Lao police and government authorities have consistently failed to seriously investigate the case, and continue to unpersuasively claim ignorance of Sombath’s whereabouts. Yet evidence is still being uncovered, and on the 3rd anniversary of his enforced disappearance, new CCTV camera footage — obtained from the area where Sombath was abducted on the day that Sombath vanished into state custody – will be made public. A panel of speakers will also provide the latest updates on Sombath’s case and the international campaign to demand answers from the Lao PDR government.